It seems I have been swinging between two extremes this summer when it comes to reading. Either it's fantasy and fluffy romance, or it's adult nonfiction. Fantasy is one of my favorite genres, but I can only take so much before I need a little reality to get me grounded again. I could say the same for the romances I've been reading! As I recently bought more nonfiction ebooks that looked really good (and were also on sale for $1.99), I had probably better get these reviews done from earlier in the summer! 4 stars: Inside look at their careers and marriage. Anyone who has watched BBC's Gardener's World will know Monty Don. He hosts the show, and at least a couple of the segments each time are filmed at his home, in his gardens. He is warm and personable; laid-back, but very knowledgeable. He makes the show, in my opinion. Anyway, after I had been watching for awhile, I managed to get a friend hooked on it as well. She gave me this book for my birthday (and another of his on gardening--review still to come.) I was so excited! I basically knew nothing about Monty's personal life before reading this book. Apparently he and his wife used to be super successful jewelry makers--as in, they sold their jewelry in very high-end stores, and to all sorts of celebrities. Then their business, which had such meteoric success, came crashing down around them. Gardening, and writing about gardening, is what pulled them back from the abyss. Eventually that became a career for Monty. On the show, he often talks about his Jewel Garden. I never knew it had such a history behind it! I ate it up! 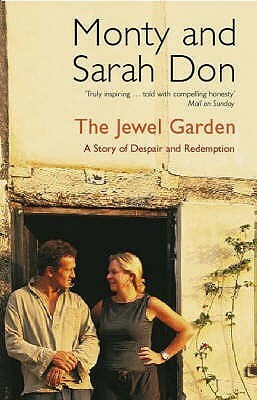 If you haven't ever heard of Monty Don, I would recommend watching an episode of Gardener's World prior to reading this book. You'll enjoy it a lot more. Qanta describes her time working as a surgeon at a Saudi hospital, recruited there after residency, when her visa to remain in New York City was denied. 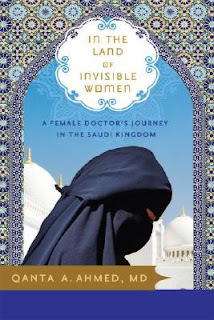 Though raised Muslim (in England), she finds herself unprepared for the strictures of veiling, and the accepted sexism--even at her hospital, which was considered progressive. During her time in Saudi Arabia, she finds friends amongst the women, and marvels at how different they are once the veils are removed--in the complete privacy of their homes, surrounded only by other women. Just as often, she finds herself an outsider. She struggles with how to define herself when her entire being is enveloped in black cloth--by law. Filled with Ahmed's keen observations of the culture and people around her, this book was fascinating and heart-wrenching. She pointed out early in the book that although she was licensed to do surgery there, she could never be licensed to drive a car. That was something only men were allowed to do. Every law oppressing women came with a severe penalty for breaking that law. Before going over to Saudi Arabia, Ahmed hadn't been overly worried about it. After all, she was Muslim. Once she arrived, however, she found that she was entering into another realm entirely, with very little in common to what she was brought up with. One of the most fascinating parts of the book for me was her description of her journey of faith to Mecca, and the rekindling of her connection with Allah. Other reviewers have brought up the mediocre quality of writing. I don't remember that standing out to me. My interest in the topic must have overcome those objections. Content: Some descriptions of abuse. 4 stars: Brought me to tears more than once. 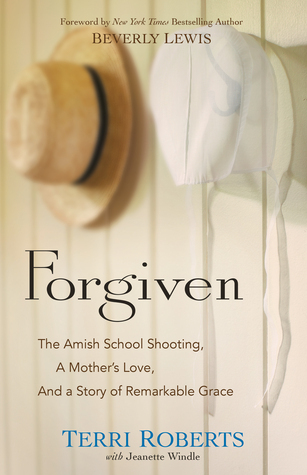 Terri Roberts is the mother of the Amish school shooter. Not Amish themselves, she and her husband had lived amongst the Amish for many years before the horrifying events of October 2, 2006 unfolded. Their family relationships were close, including with her son, who was the gunman. Terri talks about her life up to the point of that life-changing day. The challenges she had faced already and how she had overcome them with her faith in God. She describes the day of the shooting as tsunami, completely and forever changing the lives of all involved. And she describes how even that very first day, one of their Amish neighbors came over and did what he could to comfort them. She and her husband were so devastated; they felt like the least they could do was move away. Their community surrounded them and supported them just as much as it did the victims and their families. As any mother would, I think, she also describes her son's life; searching for signs she might have missed, anything. Like most people, I knew the reported version of this tragedy, but none of the back story. I heard about the remarkable way the Amish community forgave this family in a talk by a church leader. So when I saw this ebook for sale, I knew it was one I needed to purchase. I'm glad I did. It was profoundly moving. It got me thinking about how I'm doing at forgiving others. Have you read any good nonfiction lately? If so, let me know and I'll add it to my list!